Users in the market for a new 4K / Ultra HD Blu-ray drive, who want to be able to make backups of their purchased movies, will need to do extensive research before buying a drive. Mainly because the drive needs to be UHD friendly, which means it has to be a specific drive with a specific firmware version installed. In this article we list a few places where you can safely buy them, ready to use. Ultra HD Blu-ray friendly drives are Blu-ray drives that can read Ultra HD Blu-ray discs, but who don’t work with official software such as PowerDVD. 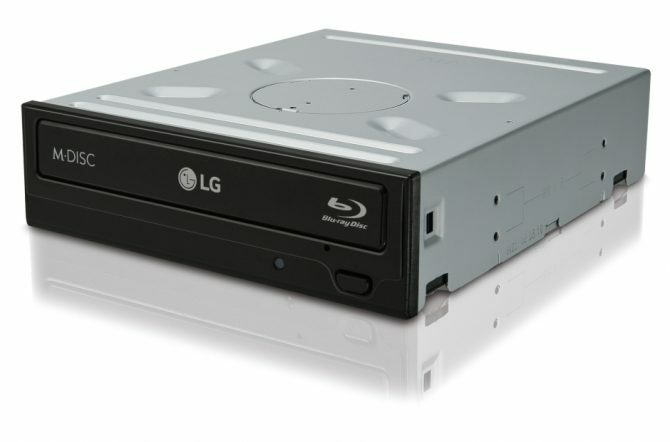 But they will work with AnyDVD, DeUHD, DVDFab and MakeMKV to make a backup of Ultra HD Blu-ray movie discs. Only a handful of Ultra HD Blu-ray drives are UHD friendly, and they are able to copy UHD movies because they can be flashed with a firmware that uses a loophole in the AACS 2.0 protection. In the beginning all drives had this firmware installed when they were sold, nowadays most drives come with newer firmware in which the loophole is closed. We compiled a list with UHD friendly drives, but if you purchase them now, it’s likely you’ll get the drive flashed with the latest firmware, in which the AACS 2.0 loophole is closed. There are instructions online on that explain the process of flashing them to UHD friendly firmware, but it requires some technical know-how. Fortunately there are now several places where you can Ultra HD friendly drives, that come with the correct firmware and are tested to work with your favorite choice of software to make backups of your Ultra HD Blu-ray movies. An Australian DVDFab Forum member has purchased a load of LG BH16NS55 drives and makes them available on eBay. He has flashed the correct firmware and provides a 6-month warranty. Each drive has been tested and is guaranteed to work. The drive is sold at US$147.65 + shipping. The seller ships internationally. Three MakeMKV Forum users sell drives internationally. They live in three different parts of the United States, so Americans save some shipping and time by purchasing from the person closest to them. Their different locations also means they can provide support around the clock. They haven’t disclosed any pricing information, but do guarantee the drive will work with your choice of UHD BD backup software. Arusoft sells ASUS BC-12D2HT drives and guarantees that they work with their UHD BD backup software DeUHD. The drive comes with a lifetime license of DeUHD and costs €165 (about US$189). Also, Arusoft ships internationally. Discuss this in our Ultra HD Blu-ray Forum.